PCL PartsLab belongs to a free Revit add-in that makes the process automatic for production, visualization, and change management concerning Revit Construction Parts. Significantly minimize time and clicks by generating numerous parts from targeted categories/families/types. Context sensitive tools facilitate rapid hiding & isolation. With the managed history view, it is possible to monitor when design updates occurred as well as types of modifications. The Revit plug-in is intended for functioning with the software’s Parts function to track changes to horde objects in the design models throughout construction devoid of modifying specs set in the construction model. Now, it becomes easier to connect with the design models and make the constructability edits that is necessary when a design modification happens. With PartsLab, it is not required to visit and update the model. Just connect the original construction model into the original design. If any modification is done to the original model, the duplicate is also modified, and one can make edits to the duplicate. Now, it is possible to mass-select [components] and generate parts out of everything that [includes] a floor, a column or a wall, for instance. When you accomplish that repeatedly it saves huge time. This app is mostly suitable for general contractors, architects and engineers as well as major general contractors in North America and Europe. It is available in Autodesk’s App Store as a free app. 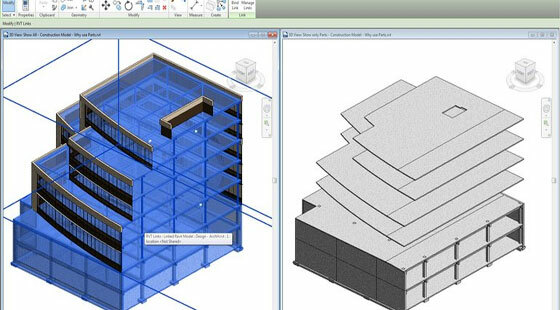 Autodesk® Formit® 360 is used to capture building design concepts for the appeared ideas. Those ideas are created in a compact digital format which will be used in the real-world site information like satellite images, for orienting the designs. Real building and environmental data is used for supporting design brainstorming. Preliminary designs are changed to centralized data storage for accessing and refinement in Autodesk® Revit® software or other applications. Release Notes for Formit 360 for Android has improved their performance and fixed the bugs. BIM is shading off the conventional drawing rapidly. Building Information Modeling (BIM) introduces a new way for designing, constructing and operating buildings and infrastructure. The application stretches far beyond the known territory and it also touches the history with its best features and applications. For understanding the building designs and materials of historical sites, BIM brings out an unparalleled approach. Renovating buildings centuries old requires a comprehensive knowledge of structural designs. The most known problem associated with renovating historical sites is identifying the structural design. BIM comes as a boon for the organizations that are conducting such works. They revealed that scanning the old construction is like lifting the pages of history and bring out the architectural theories decades ago. BIM has been used for surveying sites accurately that carve out the foundation step of planning the renovation work as per the structure needs. Mapping historical sites let you understand how the materials have been used and transformed over times. BIM has been used in renovating the Attucks school in Kansas City. The red building was built in 1905 by Charles A. Smith. The building stands in the test of time as a historical site of the colonial revival influences and it has a great influence in the education history of the African-American community. Nearly two decades after, Charles A. Smith was approached to extend the historical building with a two-story wing to eliminate the over-crowding issue. The task was challenging since Smith needed to match the aesthetic essence of the building while designing the extending part. He used original architectural detail to recreate the same value created decades back. Getting the complete details of the building was not easy and it needed a thorough survey. Redeveloping Attucks in a new way was a complex task for the team and it required to unveil the existing structural design in the infrastructure. BHC RHODES, a civil engineering firm, shouldered the responsibility of offering 3D Revit Building Information Model. The company used the lider 3D mobile mapping of GeoSLAM conduct the survey work magnificently. The survey brought out some necessary factors that were essential for carrying out the renovation work safely. The team revealed information about the deteriorating conditions of the wooden flooring, a possibility of ceiling collapses and poor air quality. The revealed information helped the workers on site plan their job in a secure way. The firm took help from GeoSLAM ZEB-REVO for mapping the inside of the building. The lightweight, a mobile device used the 3D Simultaneous Localization and Mapping (SLAM) technology to perform the required job efficiently. The process is considered to be comparatively cost effective one to terrestrial, static or trolley based systems. ZEB-REVO is incredibly designed for mobile mapping and surveying for multi-storied buildings. The device allows you to scan the inside of a construction just while walking around. For the Attucks School, the data received by this device generated 200BIM models. 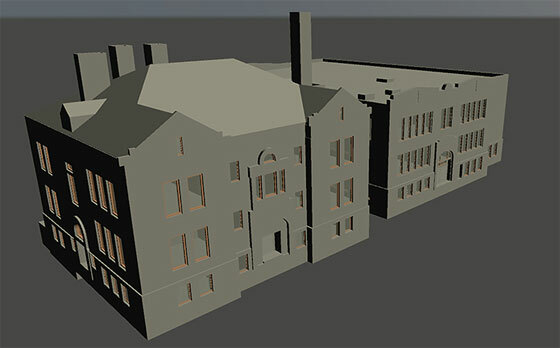 The application of BIM in layering the historical sites proves to be a new approach. It opens up an array of benefits that lead to a flawless working ability. Sometimes the owner of building needs details about how the renovation work will be done and which material will be the best for work. BIM presents a design that contains every detail required for getting a quick approval on the proposed plan. Autodesk has arranged Forge Accelerator discussion forum for the people who were interested in working with Forge DevCon. 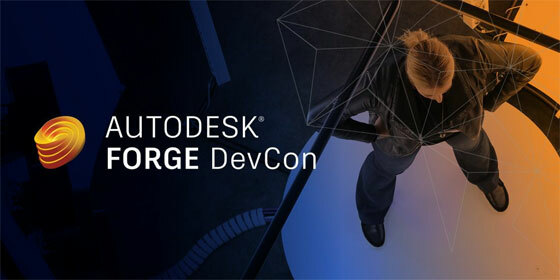 Autodesk BIM had arranged a Forge Accelerator as a part of their Forge DevCon. It was known as Autodesk Forge Accelerator or Autodesk Cloud Accelerator and was arranged in the month of June last year in their San Francisco office. Then they arranged the first Forge Developer Conference and the whole process ended up well. They had targeted a vast range of industries for the Future of Making Things enthusiast. Forge DevCon had covered a vast range of class themes for the application development for designing product and manufacturing it. Their expert team had created more than 50 classes for helping the influence in FOMT with the process of applying disturbing technologies for every part of the design, to make, use and manage lifecycle phases in some industries like manufacturing, engineering and building. Here is a list of the tracks and sessions that had made the Forge DevCon a wonderful and memorable experience. Virtual and Augmented Reality: One of the early pioneers of VR, Tony Parisi had given the speech about an Intro t WebVR. Kean Walmsley, Autodesk Researcher and Evangelist had shown his projects with Collaborative VR by using the cheapest of the VR devices in the market, Google Cardboard. Forge Basic: It was a track dedicated for the use of Forge API’s and its different applications for creating game changing business for exploring new things and discussing topics over Drones, Photogrammetry, Design Data and Visual Reporting. AEC: It became a meeting point for the people who were involved with their built environment. The topics that discussed there were cloud-based collaboration for construction and building management; workflows connecting BIM with fabrication; and Generative Design etc. There were numbers of proposals discussed for the following DevCon project. Whose application were accepted in that discussion, got a chance to work with the team for the whole week in their office on the projects of own that has used the Autodesk Forge API’s with the help of the ADN DevTech team and members of the Autodesk engineering teams. This Autodesk Forge APIs has included the View and Data, AutoCAD I/O, BIM 360, RecCap Photo and Fusion 360 APIs. A lot of new APIs also had launched in that program that can be found at their website. For applying in this program, people needed to submit a proposal of about 2000 words written about the described project that the applicant would like to work on and how the applicant would use the Autodesk Forge APIs in that. Autodesk BIM 360 is the excellent tool for Project, Field and BIM Managers for accelerating delivery save money and reduces risk. It also allows project teams to give the tools for coordinating better, communicating more effectively and resolve issues faster and more profitable project delivery. BIM mainly works for Superintendents, Project Managers, Virtual Construction Managers, Subcontractors, Project Engineers, and Design Teams etc. Autodesk Forge: It is a collection of Application Program Interfaces or APIs which Autodesk has used for developing their own web services. APIs are the part of Autodesk forge, so Autodesk has shared those APIs with the documentation and code samples to the customers and the 3rd Party developers or the Forge community who has a need for leverage years’ work off legacy and recent data associated with the projects. 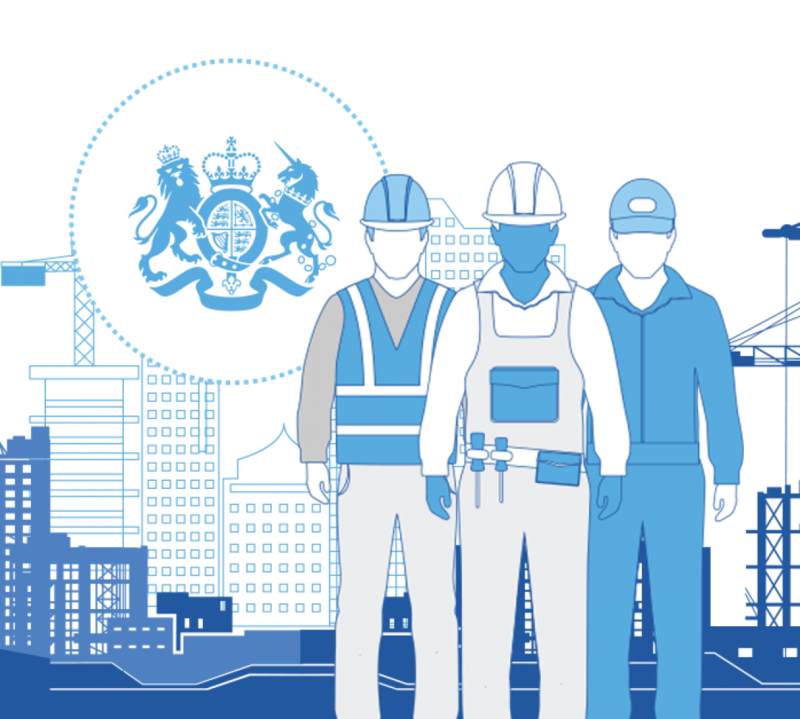 The team of BIM 360 allows design teams for centralizing project design information and also provides easy access for the extended team members. b. BIM 360 Docs makes a connection with the project teams by one app for publishing, managing, reviewing, marking up and approving all project plans, models and documents. c. BIM 360 Glue gives access to the project teams and explores associative models either online or offline, review about the intelligent object properties and also take simple measurements. d. BIM 360 Layout connects with BIM 360 Glue coordinated models for robotic total stations to streamline the layout process of construction. Autodesk Forge has made an effort to help Autodesk BIM customers with the advantage Forge capabilities. Sam Nasir, an Autodesk Building Information Modeling Premium Support Specialist, has developed a step-by-step guide for the non-programmers for exporting Company data from BIM 360. This is helpful for the users who want to use BIM data in fusion with Enterprise resource Planning systems or ERP or charge different analyses through other systems. Introduction of Step-by-step guide: The account administration of BIM 360 provides the capability of managing the information of companies that are participating in Autodesk BIM 360 projects. 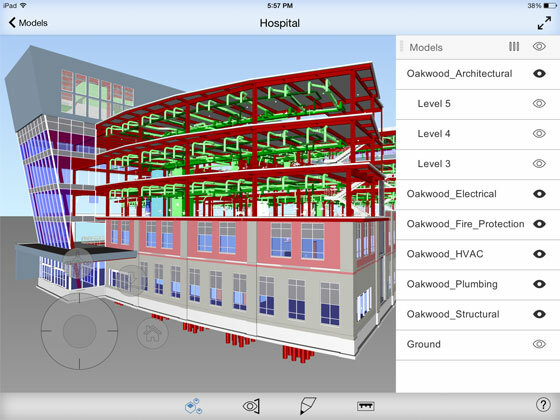 The information of the companies’ like location and trade can be added, edited and shared across BIM 360 products. Autodesk Forge can be utilized by account administrators for extracting the data of enterprise-level companies’ for analysis outside of BIM 360 Account Administration. For this utilization, Autodesk Forge needs some software development experience for advantage the APIs and designed for non-programmers. At first sign in Autodesk Developer Portal with the Autodesk Account. Then click on ‘SIGN IN’. Those who don’t have an account click on ‘SIGN Up’. b. Then create an app by clicking on ‘CREATE APP’ option. Next select ‘BIM 360 API’ and enter the application name and description. Callback URL is needed to create an app. c. Note down Client ID and Client Secret. These two things can be seen after creating the app in the new app page. Now log in to the existing BIM 360 enterprise account with the same Autodesk Account, then navigate to ‘SETTINGS’ tab and ‘Apps & Integrations’ tab. Click the ‘Add Integration’ button. b. Next select access to BIM 360 Account Administration and click on ‘Next’. c. Select “I’m the developer” option and click on ‘Next’. d. Now enter the Client ID, name, description and logo. e. After note down the BIM 360 Account ID click on the ‘Save’ button. For downloading go to https://www.getpostman.com/apps. b. Now download the setup file. c. Next run the installer. In the fourth step, export BIM 360 Companies to JSON file. There would be an option for downloading a zip file that contains Postman Collection and Variables JSON files. b. Unzip the file in Postman and click on ‘Import’ in the top left and import Postman Collection form ‘Postman_Collection.json’ in the unzipped folder. c. Next click on the ‘Environment Options’ wheel in the top right corner and click on ‘Manage Environments’. Now click and import and select ‘Postman_Variables.json’ for importing ‘BIM360Export’ environment variables. d. After that click on ‘BIM360Expert’ and enter Client ID and Secret and BIM Account Id and click ‘Update’. e. After selecting ‘BIM360Expert’ in the environment drop down, select ‘Authenticate’ and click ‘Send’. f. Select ‘Get BIM360 Companies’ and click on ‘Send and Download’ from the drop down. b. Download the setup file and run it. Now click on ‘Get Data’ button and select ‘JSON’ and click ‘Connect’. Now select the JSON file ‘response.json’ and click open. b. In the Query Editor, click on ‘Convert to Table’ > ‘OK’> “Load more’> unheck “user original column name as prefix’>”OK”> ‘Close and Apply’. c. Now from the Data view in the Field list click on ‘….’> ‘response’ and select ‘Copy Table’. d. Select Pie Chart from the Report view in the Visualizations list. Drag the ‘country’ field. e. Drag the ‘trade’ field to the Pie Chart’s Legend and Values fields. Sydney based an internationally recognized practice having specialization in multi-disciplinary architecture, engineering and construction services, is seeking a BIM model manager on full time basis. Duties and responsibilities: The deserving candidate should be engaged in formulating the building design and construction documentation in conjugation with the consultant team and arranged to client brief and project Revit BIM KPI’s. Other major responsibilities range from technical input during all project stage with Revit BIM workflow and protocols organized and used throughout all stages of the design & documentation process. Besides, the manager has to provide useful guidance to different BIM project users as well as master BIM at the project level, and communicate any technical issues and/or systems enhancements to the technology team. The interested candidates can send their resume to duncan@cranfieldgroup.com.au or call on 0403 509 980. The candidates having related Australian experience and working rights can apply for the post. The scene of construction technology is changing everyday and the separation can be seen all around us. In the Autodesk BIM 360 Hackathon, Autodesk help the users to get a good start with new technologies for addressing the opportunities across the building and infrastructure lifecycle. Autodesk has proudly announced about the Autodesk® App Store BIM 360 Hackathon which is a virtual and web based development. It is a nice way for quickly climbing the BIM 360+ Forge API integration learning curve with the Autodesk engineers virtually. There are some new features in the BIM 360 and it is a wonderful time for starting work on integration and to create the folders in BIM 360 using Forge. Anyone can now easily and quickly build a “presence” for his/her company and the data of apps within the use of BIM 360. The usefulness of it is described here. A series of web training sessions which are related to the Autodesk Forge platform and BIM and available for everyone who is interested in learning about these APIs. There is an online hackathon where developers can develop new apps which integrate with BIM 360 for the submission to Autodesk App Store. Reason for participating: The Hackathon will be work as a helpful hand for the users to get manual with the Autodesk cloud service BIM 360 which is built on the Autodesk Forge platform. There is the Autodesk Forge API for developing apps that will help in the construction management and enabling access to project data for all time, everywhere within the building construction lifecycle. Autodesk Forge is mainly the developer platform which is used by Autodesk for creating software for design, engineering, construction and manufacturing. Participating in the online hackathon the participant would get a reward but there is a cost price. At first the participant has to create an app that will go with BIM 360 and then it had to submit in the App Store. The other reason of participating in BIM 360 is that there is going to be launched a BIM 360 app “Showcase” in the Autodesk App Store. Autodesk App Store: By publishing the creative apps in the Autodesk App Store, and user could get fast access to the Autodesk customers who might be looking for the benefit from the solution. The Autodesk App Store is the best online source for millions of Autodesk customers for browsing and downloading or purchasing their needed apps. Autodesk: Autodesk is for them loves creation and make creative things. Behind a high-performance car, an admired towering skyscraper, a smart phone or a great film there are chances to appreciate the works of the millions of the Autodesk customers as it gives the power to make anything.